The mission of the Archives and Records Office is to ensure that the documentary evidence of the life and work of the church is preserved and accessible for use by church officials and interested historians and researchers. 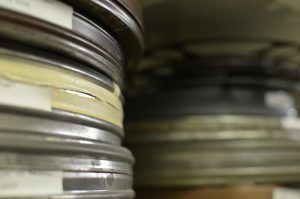 The Archives’ holdings date primarily from the early 1800s to the present, and consist of approximately 3,500 cubic feet of textual records, 15,000 photographs, several thousand hours of audio-visual recordings, hundreds of architectural plans, and more than a million pages of documents on microfilm. The vast majority of this material is by its very nature, unique and irreplaceable, and therefore exceptionally valuable. These records were created by church workers in the normal course of business and therefore act as evidence of that business: documenting the decisions, actions, events, responsibilities, assets, property and activities of The Presbyterian Church in Canada. Each year the Archives’ staff serve approximately 2,500 researchers. About 15% visit our office in person, while the remaining 85% contact us by email, phone, and regular mail. Many travel from all over Canada and the world to visit our Reading Room and consult the records in our care. Often these visitors are from areas where the church has historically been active in mission and development work, such as Taiwan and India. Get in touch with us and learn more about the Presbyterian Archives. View of the Archives storage stacks and “processing” table (the piles on the table are part of the backlog of records waiting to be appraised and catalogued!). Example of historical film footage we have on hand at the Presbyterian Archives. Archives are gateways to the past – through them we can step back in time and learn about the events and activities, life and work of the people that have gone before us. Archives acquire and preserve the records of individuals and organizations, and thereby preserve the evidence of their actions and activities. By making these records (this evidence) available to interested researchers, archives then build a bridge between the past and the present. An archives is different than a museum or a library, although all three are linked together in a common purpose to preserve our heritage. The primary difference between the three can be summed up as follows: museums hold three-dimensional artifacts, libraries hold published books, and archives hold un-published records created by an organization or person. These distinctions may be blurred somewhat in many archives, museums and libraries, however, these are the basic differences. Records of General Assembly and the National Office departments of the church. Records of congregations from across the country. Records of individual ministers, moderators, missionaries, college professors and church officials. Records of the various Presbyterian theological colleges. Records of the Women’s Missionary Society and its predecessors. See the “Finding Aids” section of this website for more detailed information about the records in our care. Each year over 2,500 people use our archives – people from the church community, genealogists, students, professors, historians, architects, photographers, teachers, lawyers, graphic designers, journalists, and many others. Some visit in person, but many others contact us by mail, email, telephone and fax. All are welcome to visit the archives but an appointment is recommended to ensure that an archivist will be available to assist you. New material is acquired by the Archives almost every day, either as a regular transfer of records from one of the departments of the National Offices of our Church, or through private donations. One of the most important functions of the archives’ staff is to “appraise” records. Not in a monetary sense but in an “archival” sense – to determine what should or should not be preserved. We can’t keep everything, and nor would we want to; certain records can, and should, be disposed of after a specific period of time. Generally speaking, only about 10-15% of the records generated by an organization have long-term value – the rest are of a routine and/or transitory nature. Deciding what is archival, and what is not, involves a two-stage process. The first stage is to determine if the records fall within the collection mandate of the archives (found in Appendix G of The Book of Forms). The second stage then involves analyzing both the records themselves, and the context of their creation, i.e. analyzing the function that led to their creation. This analysis, in turn, allows the archivist to determine the evidential and informational value of the records. Those records which are deemed to have high evidential value (are accurate and authentic in acting as evidence of the policy, procedures and decision-making of the Church and therefore have significant legal, administrative and financial significance) and/or have high informational value (are full and complete in describing the events, activities and actions of the Church) are then acquired into the archives and given a unique “accession number”, before being catalogued. Once accessioned, records are then catalogued, or “arranged and described”. This is a very time-consuming process, and as a result, most archives have a significant back-log of material which has been accessioned but not yet catalogued. We estimate that our back-log is about 8 years worth of material. Archives arrange material according to the principles of “provenance” and “original order”, unlike libraries, which arrange items according to subject. The principle of provenance requires that those records created by a specific person or agency be kept together and not inter-mingled with records of another creator, while original order requires that items be kept in the same order or system in which they were originally used. Both of these principles ensure the ability of the records to act as evidence of the “creator’s” work. Once arranged, the records are then described. Description involves the examination and analysis of the documents in order to write detailed guides, indexes and catalogues (generally referred to as Finding Aids) to help potential researchers, and the archives’ staff, know what information exists in the archives and where to find it. In Canada, standardized rules for the description of archival records have been developed over the past 20 years, improving access to records and allowing archives to submit their descriptions to provincial and national databases which are searchable on the Internet. 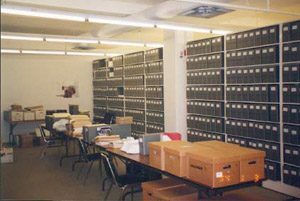 At the Presbyterian Church Archives, the records are stored in a temperature and humidity-controlled vault area, to ensure optimal preservation over time. Paper documents are acidic and highly susceptible to damage from light, temperature and humidity fluctuations, and air-borne particulates. We’ve all seen what happens to a newspaper when it is placed in sunlight for an afternoon – it becomes yellow and brittle. This occurs when the ultraviolet light from the sun interacts with the acid in the wood-pulp in the paper. Newsprint is highly acidic, yet many of the documents in the archives, especially those from the early part of the 20th Century, are just as acidic. Proper care and preservation of these items is therefore absolutely necessary to prevent further deterioration. Most documents are stored in acid-free file folders or envelopes and placed within acid-free storage boxes. These protect against light and air-borne particulates, and help moderate the effects of humidity fluctuations. They are also buffered with calcium carbonate to ensure a minimum pH of 8.5, helping slow the natural process of acid migration within and between documents. As mentioned above, the Archives works with approximately 2,500 researchers a year. The whole purpose of preserving the material is so that it can be used. The records in the archives are a resource which is actively used by church staff and officials. However, we are also open by appointment to the public, and individuals from all over Canada and indeed the world, visit our facility to learn and to find information that helps answer their questions. The Archives and Records Office is committed to developing and maintaining policies and guidelines for the efficient management of the “active” and “semi-active” records of the church and for ensuring that the “vital records” are properly identified and secured. This includes assisting National Office staff with the development of file classification systems (for both paper and computer records); developing “Records Retention and Disposition Schedules”; managing the Records Centre of the Church (where another 3,000 cubic feet of “semi-active” records are stored); and by providing seminars to staff on Records Management. 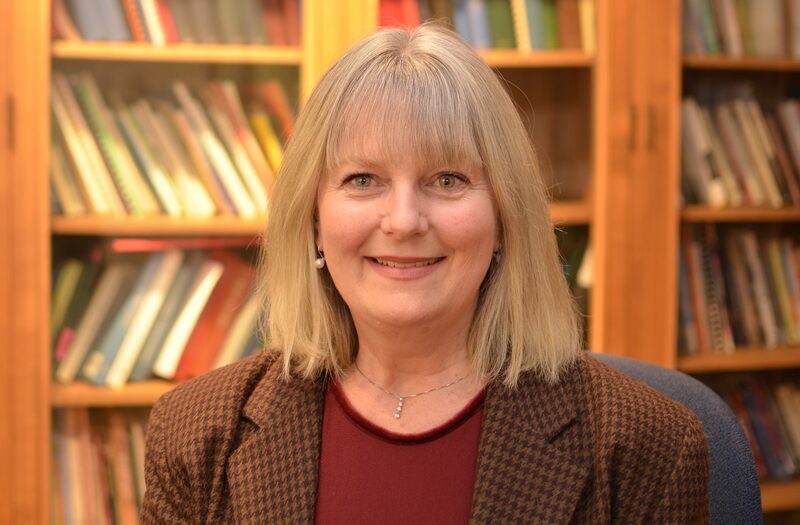 We are also committed to assisting and advising individual congregations, presbyteries, synods and colleges with the management of their records. Most records in the Archives are available for viewing by the public. However, certain types of records, such as congregational Session minutes, are restricted for a period of time. The Archives works in the spirit of Freedom of Information and Protection of Privacy policies to ensure that information is available, while at the same time ensuring that personal privacy and confidentiality will be maintained. Photocopying provisions are subject to the following: the physical condition of the records; restrictions placed on the documents by donors (including the Church); and by the 1999 Copyright Act. Researchers must request permission from an archivist before copying records. Copyright of unpublished records remains with the creator, commissioner or owner of the records for life plus 50 years. The Presbyterian Church in Canada may not own copyright to the documentation you may wish to copy. The Presbyterian Church in Canada began collecting archival materials randomly through the initiatives of its Historical Committee in 1879. This Committee was a national corresponding committee that was concerned about the lack of concentrated preservation of historically significant documents throughout the country. 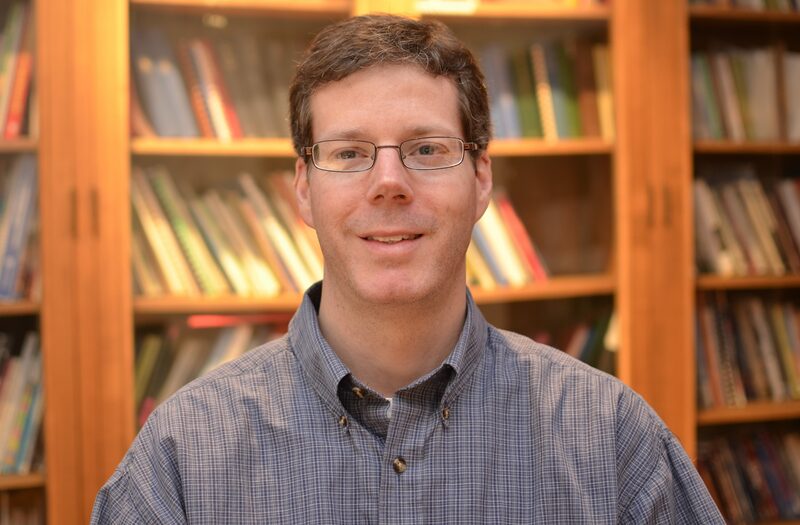 In an attempt to make the collection of Church records more systematic, Knox College, at the University of Toronto, was eventually designated by the General Assembly as the prime location for the storage of Presbyterian archival records. However, Presbyterian documents were also housed in other learned institutional archives such as university and provincial archives across the country. It was in 1973 that the Church agreed to the establishment of a formal archival site in the basement of Knox College. This space was renovated to provide office space and suitable storage stacks and climate controls. The Archives remained in Knox College until 1995. At that time the office was temporarily re-located to nearby Soho St. in Toronto as the basement of Knox College was experiencing excessive humidity problems. As our collection was rapidly growing and our climate control requirements became more stringent, the Church approved that a new facility would be constructed at the National Offices of the Church at 50 Wynford Drive. The highest church authority, the General Assembly, supported the use of bequest funding to develop the modern facility we enjoy today. We celebrated with a formal opening and ribbon-cutting ceremony in April 1998. In May 1999, the Presbyterian Church in Canada was awarded the Corporate Award of Achievement by the Archives Association of Ontario.